Good Morning! 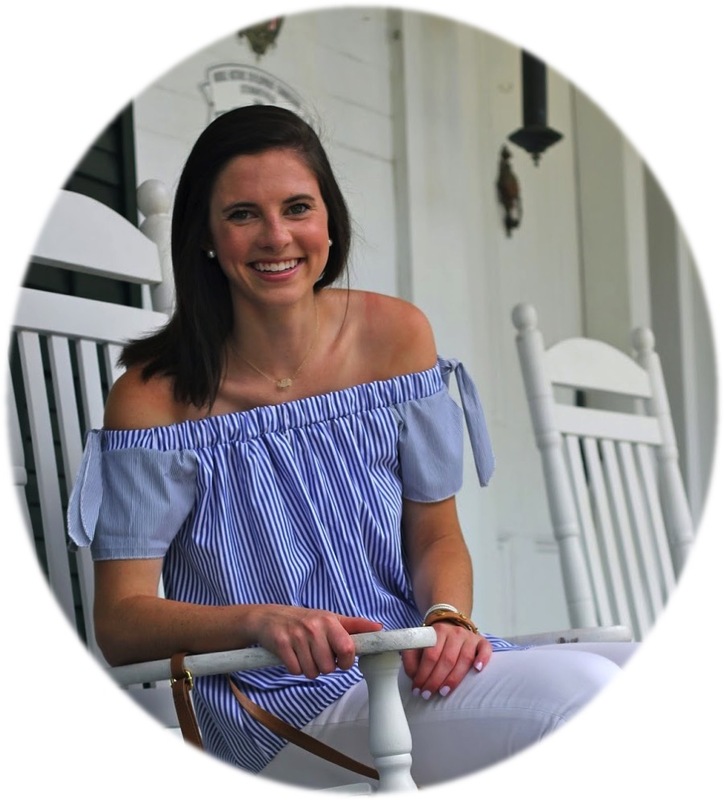 If you couldn't tell my excitement in my last two posts (tips + giveaway) today is the day of the Lilly Pulitzer After Party Sale and I am pretty thrilled. Lilly hosts two major sales a year so when these come they draw a lot of attention with all of the fabulous deals from such a fun brand. (This post will likely be updated a lot throughout the day so be sure to check back periodically). The sale began at 8AM ET(ish) and lasts until Tuesday evening so there is lots of shopping to be done in this short time frame. If you haven't already checked the sale out then click on over as fast as you can to Lilly Pulitzer's site! If you're still on this page without shopping first then I am definitely questioning your judgement. Being on central time I set my alarm a bit too early for this being my last week of summer and was up and ready to shop as soon as the sale went live. This year Lilly has a virtual line to get into the sale which is something they've never done before but hopefully it helps to ensure that the site doesn't crash and payments can be processed. The only downside I see to this is that once you checkout once you're put back into line. While this may not seem like a big deal items in your cart are not reserved and checking out more than once is encouraged which could mean that you aren't able to peruse the whole site if you're hoping to snag whatever items are in your cart. That's just me thinking out loud though! I, of course, had to go through the site once for myself before sharing tons of great finds with y'all but here they are! I have made it super easy for you by showcasing some of my favorite items from the sale in this image, linking the products below, AND including an additional way to shop at the bottom of this post! Hopefully this makes your shopping successful and a bit more fun and interactive! PS, many of these pieces come in different prints and colors! A breakdown of some great deals by price! If you couldn't get your full dose of Lilly items from the sale I have an incredibly fun giveaway going on featuring Lilly items that would be perfect for heading back to school! You can see the giveaway in the original post here or you can enter on this post if you'd like by following the guidelines beneath the giveaway photo! 1. Go to Lilly Pulitzer's site and choose your current favorite print (prints page here). 2. Follow me on instagram @prepinyourstep. 3. Leave a comment on this post letting me know your favorite Lilly print, instagram name, and email address so that I can directly contact the winner! I'll be emailing the winner directly to get their shipping address so it is crucial to leave an email address you check often in your entry comment! I wish you all could win but good luck and happy entering! Be sure to enter that giveaway and also let me know what you may have gotten from the sale! Hopefully I'll hear all success stories and lots of happy Lilly ladies excited about their sale purchases! Here are more of my favorites from the sale! Click the image to be taken to it on Lilly Pulitzer's site! Happy Shopping! I follow you on Instagram. My user name is LISJAXN. My email address is melissa.jackson593@gmail.com Favorite print is Lilly's Lagoon. I followed you on Instagram. My username is Laurenleslye and email address is laurenleslye@yahoo.com. My favorite Lilly print is Resort White Red Right Return. My favorite print is Lilly's Lagoon! I follow you on Instagram and my username is allycatholl. My email address is allycatholl@icloud.com. Thank you so much for having this giveaway! My favorite print is keep it current! Love everything about your blog and Youtube! I follow you on Instagram under the account Beachyal. My email is 14softball@gmail.com, and I love your blog! My favorite Lilly print is by far, Keep it Current! Thank you for all the great posts and info!! I love your insta and blog so much!! Thanks so much for hosting this giveaway! Your blog and Instagram are both awesome! Proud to be a daily reader of Prep In Your Step. I first wanted to give you a big thank you for not only having this giveaway but also for your tips on the Lilly sale!! They honestly helped me so much during my first experience of shopping the sale. I follow you on Instagram (@katievenezia) and my email address is Katven801@gmail.com. My favorite current Lilly pattern is Lilly's Lagoon:). I wish you the best as you return to school! I'm glad to see you got some great items! I did as well! You have a very thorough post! I enjoyed this Lilly sale :) I hope you did too! Lilly's Lagoon is my favorite print! Red Right Return! brittebarker, bebarker@email.meredith.edu. We are the same year in college and I am in the process of starting up my blog and trying to get it going. Love using your for inspiration and your Instagram too! I loved being super organized and Lilly school supplies make it that much better! I would LOVE this giveaway! Love, love, love your giveaway!!! Favorite print is Lilly's Lagoon. I'm following you on instagram. My account is monogrrammomma. 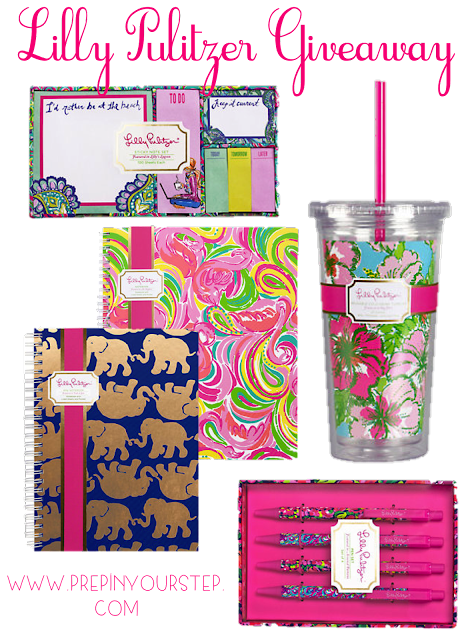 Obsessed w/ your blog and Lilly Pulitzer school supplies! I was named after Lilly! I love Gotta Regatta so much because my whole family sails! Keep doing what you are doing Dorothy! You are doing a great job! We are both juniors in college and studying the same major and I've been a reader for a couple of years because you give me so much inspiration and organizational tips! Thank you for all your hard work and dedication! My favourite print is the Summer Haze. My email is sm_mohan@knights.neumann.edu. Keep doing what your doing with your tips and tricks posts and your daily schedule posts. I love reading to see how others my age are doing in other parts of the world. Hope you pick me! Of course I've been following your Insta for years! I'm loving the print Toucan Play! My Insta name is @jademaryn and my email is jademaryn@gmail.com. I just followed you on Instagram! My Instagram name is madi.archibald and my email is madi.archibald@yahoo.com. I have to say my favorite Lilly print right now has to be Casa Marina. Thanks for this opportunity! I am @ms.elizabeth.a on Instagram, & my email address is mselizabetha.online@gmail.com . I am loving the Casa Marina print! To say the fact I am very stunned at what you informed. You discuss plenty of exciting details, nice and outstanding style you have got here. It’s certainly one of the most useful things on this subject I’ve ever study. my favorite print is palm reader. my email is liviburke1@gmail.com and my instagram is livi_burke .